Many of our T&E Meats farmers and producers have expressed interest in learning more about the meat processing industry, so we have collected some helpful resources for you. We have included meat industry Information, links to relevant USDA pages and documents, and a list of books. If you have any questions about these resources or would like to find other information that we haven’t listed, please contact us. This membership organization is the largest meat trade membership group in America, and T&E Meats is a member. AAMP provides information about food safety, regulations, nutritional labeling, and more, and the organization hosts a large convention every year that features workshops, demonstrations, an equipment trade show and more. AAMP Members enjoy access to numerous online and classroom educational opportunities as well as publications, consulting and legislative support. Click here if you are interested in finding out more about AAMP. T&E Meats has been approved for humane slaughter by AWA for several years, but we are only authorized through an approval process that starts with a farmer. Animal Welfare Approved offers a food label that farmers affix to their meat products. This label indicates that the meat products come from animals that have been treated humanely on land that is farmed with good environmental practices. T&E earns renewal of this species-specific certification every year only after AWA experts observe our slaughter practices for many hours. 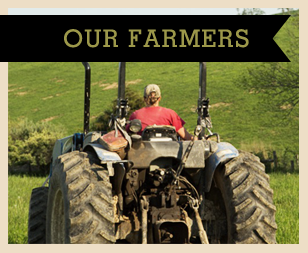 The AWA label helps farmers and producers to differentiate themselves in the marketplace by appealing to customers who care about humane and environmental farming practices. 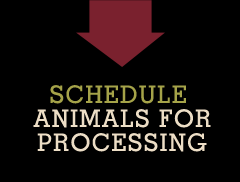 To learn more about how your farm can become Animal Welfare Approved, you can contact AWA here. Small butcher shops are making a comeback nationally in parallel to the resurgence of local meat farming. The Butcher’s Guild supports meat processors and individuals nationwide who are learning the butchering trade and opening local butcher shops. T&E Meats is a member. Many of the farmers and producers who come to T&E Meats for processing have indicated that they would like to know more about meat cuts, since that knowledge can help them market meats more effectively to their customers. The Butcher’s Guild offers educational materials, news, and a job board. Membership is only available to butchers and meat processors, but their site provides interesting educational materials. If you are interested in learning more about the burgeoning butcher trade, visit the Butcher’s Guild. Future Harvest, a group that focuses on education, advocacy and networking, was organized to build a sustainable foodshed in Maryland, Delaware, DC, Virginia and West Virginia. The group organizes a winter conference ever year for farmers and consumers, providing opportunities to learn about small-scale agro- ecological farming. Future Harvest maintains the “Amazing Grazing” directory that provides a comprehensive list of grass-based farms that sell directly to consumers. To learn more, visit Future Harvest. This organization is for people who want small, local meat processors to thrive, and T&E is a member. NMPAN offers information for not only small processors, but also for farmers, producers, meat buyers and marketers who all depend on each other in the local meat industry. NMPAN offers a broad spectrum of information that focuses on people who are both new to meat processing and those who are veterans to the process. NMPAN is part of the national university cooperative extension services, so you will find helpful educational programs on their sites, links to find help in your local region, business planning assistance, and much more. We at T&E have no doubt that our farmers and producers will find useful information at NMPAN. NC Choices provides education and networking for all participants in local meat production, from farmer to processor to marketer. Although NC Choices is part of the North Carolina Cooperative Extension, they welcome participation from other regional areas. In fact, T&E Owner Joe Cloud has been a speaker and participant at several NC Choices conferences. NC Choices focuses on agro-ecological farming systems, so we encourage our farmers and producers to check out the resources at NC Choices. The Virginia Association of Biological Farmers exists to promote and support all aspects of organic and biological farming and gardening, including education, innovation and advocacy. VABF organizes an annual conference for members, farmers and consumers who are interested in buying foods grown on farms that are based on nature’s own principles. 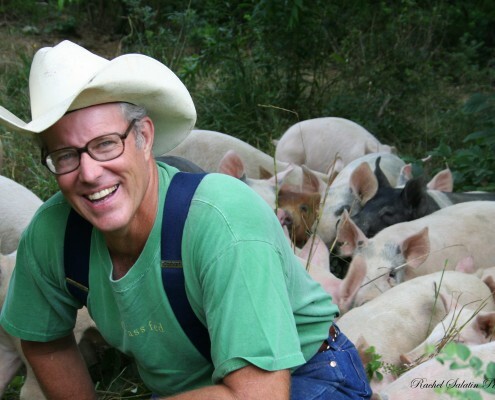 VABF also offers an extensive network, resources, listings of sustainable farming events, book recommendations, a quarterly newsletter, and monthly e-news. You can become involved with VABF by joining, attending events, or volunteering. To learn more, visit VABF. Small and Very Small Plants Website: On this site, the United States Department of Agriculture maintains information specifically for small meat processing plants like T&E Meats because the rules and regulations around meat processing are detailed and complex. The USDA established the Small and Very Small Plants website to serve as a “help desk” for small plants to understand and implement the necessary regulations. The Resources and Information page of this website is particularly useful for farmers who want to understand more about the food safety regulations that T&E Meats follows when processing your meats. You can access this information at the Small and Very Small Plants website. Beef & Pork Whole Animal Buying Guide: This guide, published by the Iowa State University Extension, is an invaluable resource for farmers, most importantly because it includes detailed information about carcass yields. The guide also includes information on everything from meat industry terminology to beef aging information to understanding meat inspection. 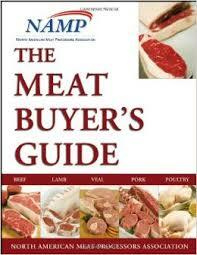 To read the guide, just google “Beef & Pork Whole Animal Buying Guide” and download the PDF. Marketing Beef for Small Scale Producers: This short document explains how to market beef as quarters, halves and whole animal carcasses. A publication of the Iowa State University Extension, this document describes ten major problems that producers face when trying to establish a customer base for these large sales and, more importantly, how to solve these problems! You can find the PDF online here. 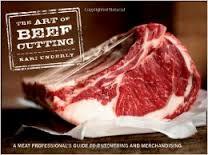 The Art of Beef Cutting by Kari Underly: This book, written by an acclaimed butcher and filled with outstanding photographs, provides an excellent guide to cutting beef. When you absorb the information in The Art of Beef Cutting, you’ll get the butcher’s perspective on the topic. Kari also teaches butchering, and you can find out more about her here. 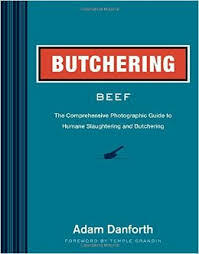 Butchering Beef by Adam Danforth: This book, an excellent guide to breaking down beef, is written from a teacher’s perspective. You’ll find lots of photographs of the author working on carcasses. 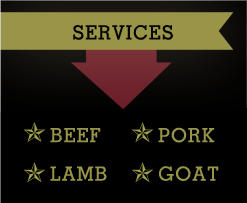 Adam is passionate about small scale butchery, and his website offers additional resources. 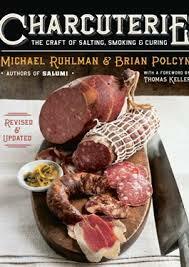 Charcuterie by Michael Ruhlman: Written by a food writer, this book provides a terrific introduction to breaking down hogs and includes numerous ideas for marketing the results. We have no doubt that his book launched thousands of chef-driven charcuterie menu offerings. Michael is a terrific food writer and maintains a website including numerous delicious recipes. 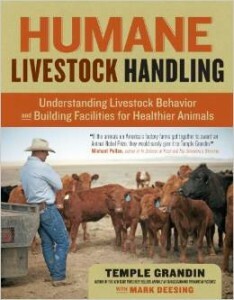 Humane Livestock Handling by Temple Grandin: For farmers who want to learn more about human animal handling, this book is for you. The author, Temple Grandin, is considered to be the world expert in this field. She helps farmers to understand that humane handling not only benefits the animals, but also increases efficiency for the farmer and meat quality for customers. 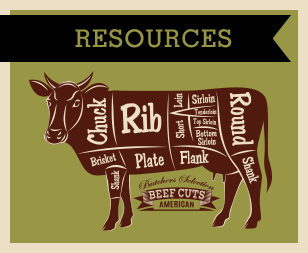 Meat Buyers Guide published by NAMP: This is a very detailed resource for farmers and producers who want to know more about butchering and the meat cuts that T&E can provide. The book contains pictures, color guides, trim options, anatomical information, and more for beef, lamb, veal, pork and other meats. 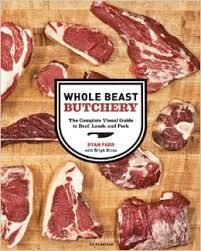 Whole Beast Butchery by Ryan Farr: This book about butchering meats is written from a chef’s perspective. The book includes 500 detailed photographs that explain meat cuts, tools, and techniques. Whole Beast Butchery is good guide to breaking beef, pork, and lamb, starting with the whole carcass and ending with individual cuts. Have questions for T&E Meats?